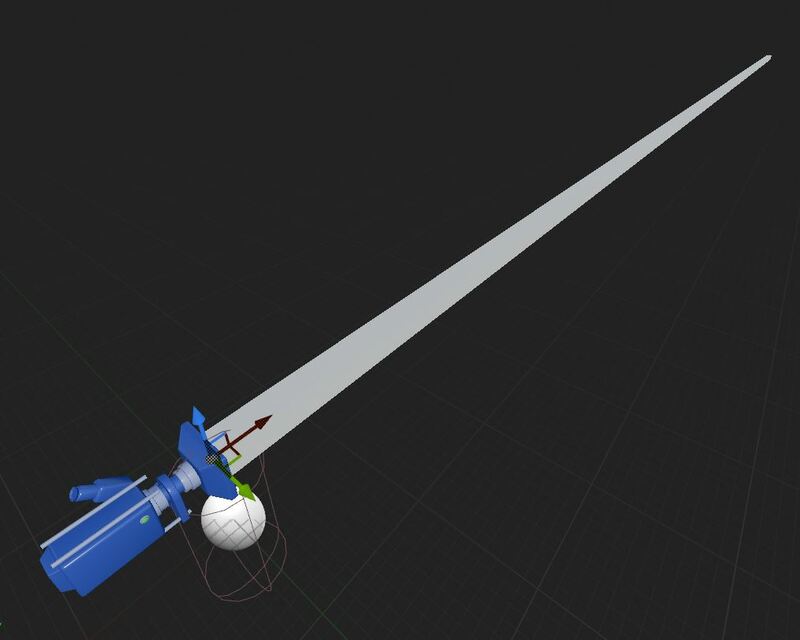 I found a great tutorial from Hangry Bunnies From Mars on how to get an animated mesh to move along a spline. I created the blueprints and everything worked great, except for one problem – the salamander moves sideways to the spline. 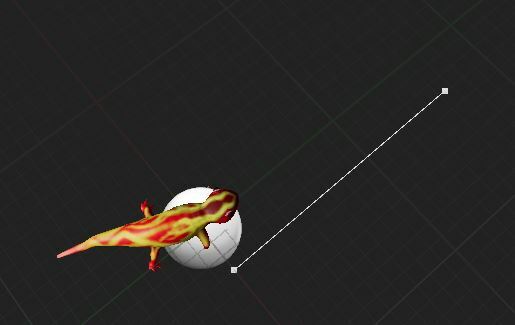 You can see in the image below, the salamander is 90 degrees rotated from the vector of the spline, which causes him to walk sideways, looking very silly. I tried rotating the mesh in the blueprint viewport, but no luck. The rotation may look fine in the viewport, but when you play the animation, it reverts back to it’s original orientation. 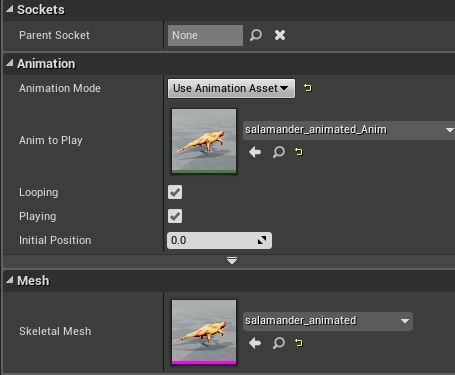 One thing that’s very nice and handy about Unreal blueprints, is that in the Details panel where you plug in the Animation and Mesh they are color coded green and megenta so you know which part of the mesh to plug in where. Pretty handy once I noticed it! Below is the Event Graph blueprint. Everything works splendidly, except the proper orientation. After spending quite a bit of time on this without an answer, I went to Plan B, which was to animate it using Cinematics. 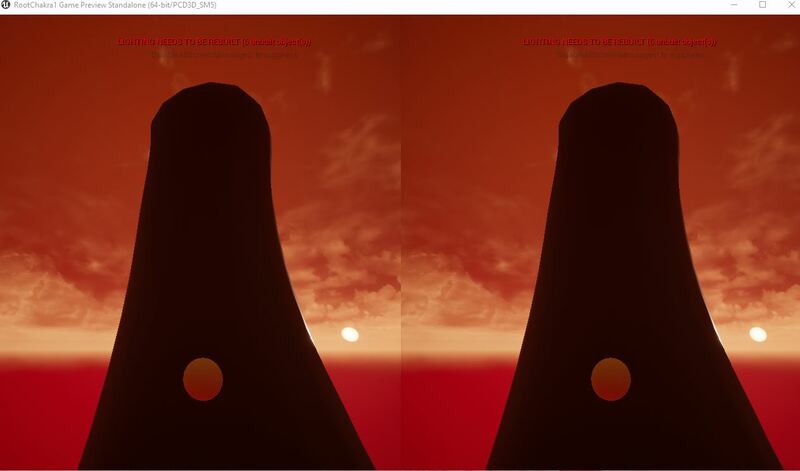 This method worked beautifully, and kept the proper scaling and rotation. 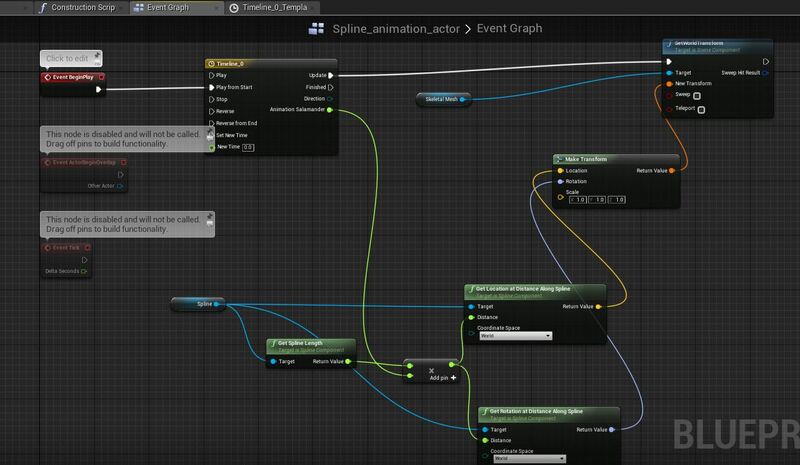 There are a lot of tutorials out there on how to attach an animated mesh to a spline using Blueprints, which leads me to wonder why that method might be preferred over using a Cinematic? I decided it would be helpful to have a “pre-level” in my game that would introduce new players to the concept of Gaze Teleportation, so they know how to move around the scene. I imported some assets I had created last semester, and set up a stage of sorts. I also learned how to create Billboards, which are incredibly useful floating text boxes that always face the player. 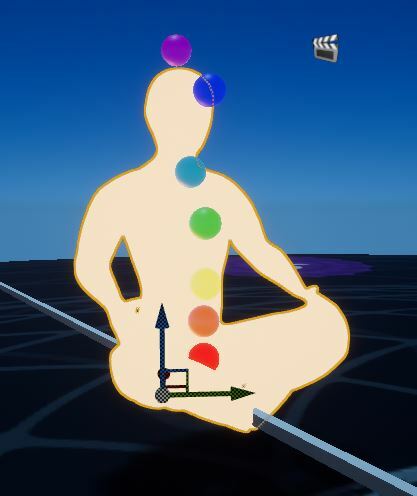 I also wanted to make the spheres representing the chakras light up one by one, to simulate what will happen metaphorically in the game. I found a great, easy to follow tutorial by Brigid Costello that was so valuable to learning this quickly. To do this, I created a Cinematic. I assigned each sphere to a new “Empty Actor Group” then gave each group a Visibility track. You can keyframe when things are Visible (Show) or Invisible (Hide). I timed it so they each become visible a second after the previous one, so they light up in sequence. 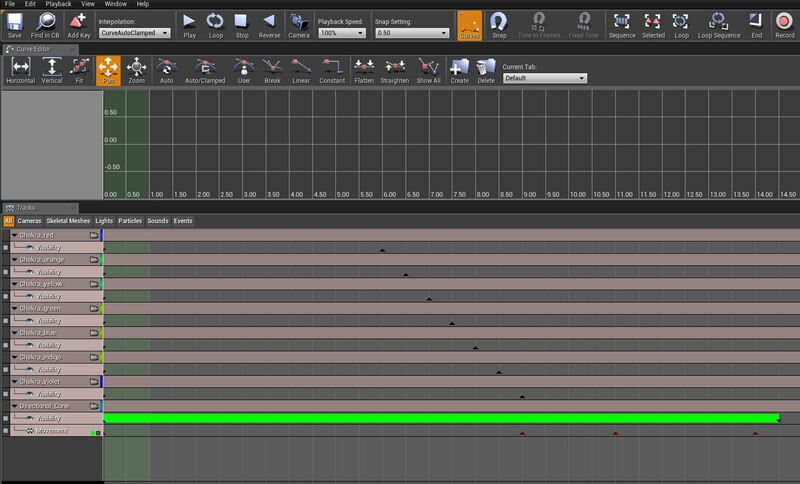 I then created a small Cone shape in the scene, and assigned a Movement track to it. I keyframed it so it flies backwards away from the figure towards the teleportation sphere, thus drawing the viewers’ attention. Once the viewer gazes at that sphere, they are instantly teleported to that spot. Overall this was a good lesson for me in Cinematics and Billboards. “Climbing the tree” (moving upwards via gaze teleportation to each sphere up and around the tree root) causes more than half the people to experience a feeling of vertigo and anxiety about heights. Users literally feel like they could fall. Almost everyone responded positively to the music used in the scene. Not everyone is comfortable enough with VR to even want to try it. People who are uncomfortable with “video games” or those who have motion sickness concerns will most likely choose not to participate. This week I continued to develop the gaze navigation system. 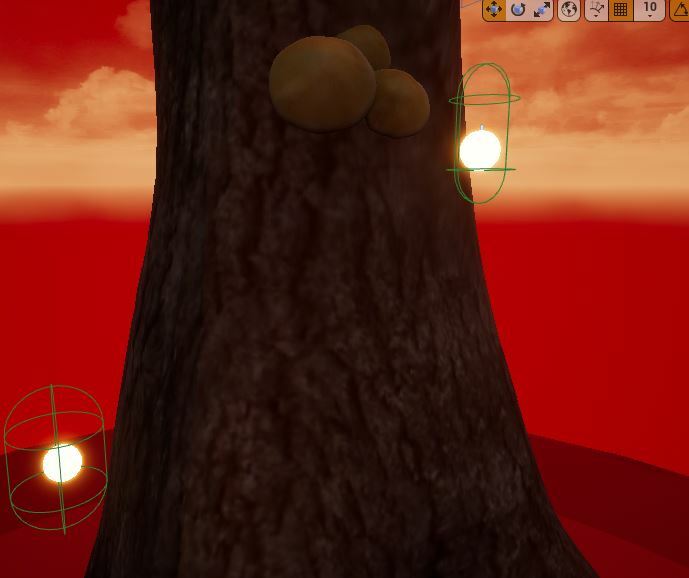 I created an Emissive (glowing) material for each of the seven spheres and place them in an upwards spiral pattern around the tree root. 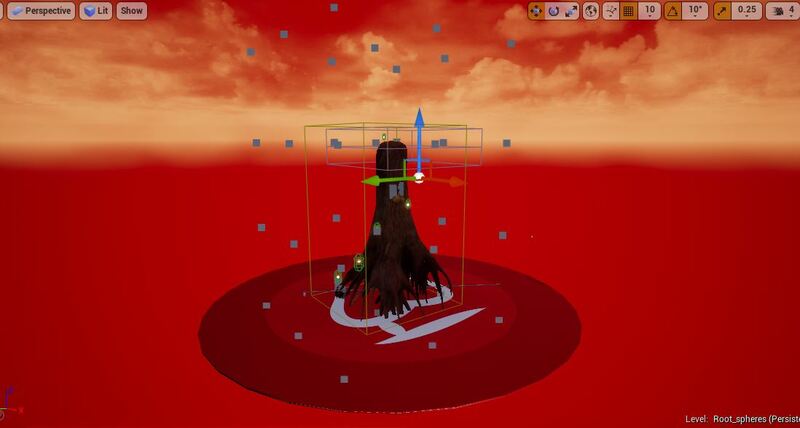 Near the base of the roots you can see the VR Pawn Actor which has a long “cursor” attached. 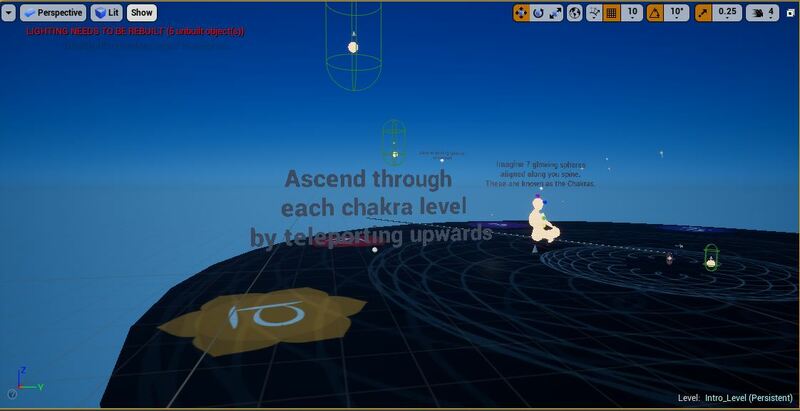 When the player moves their head and the cursor encounters one of the spheres, the player teleports to that location. I updated the tree to a more realistic looking bark texture, and tweaked some of the lighting settings from last time. I also added the mushrooms. 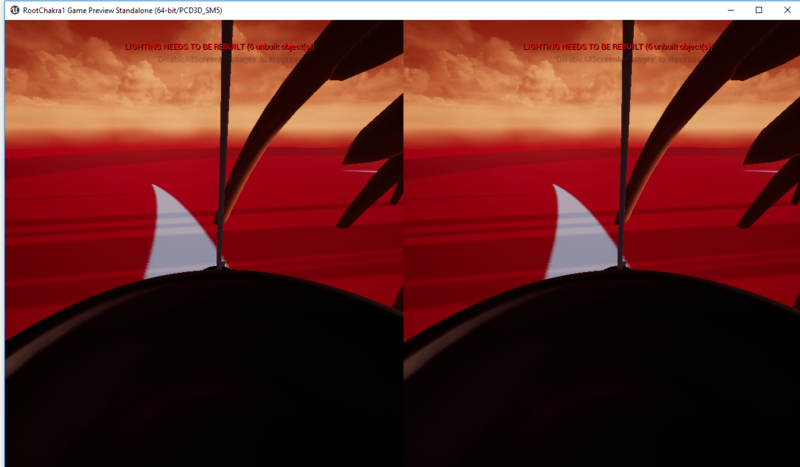 After tweaking the lighting, I used the Build Lighting feature, and received the error that I needed to set a “Lightmass Importance Volume,” which I did after looking up a brief tutorial. 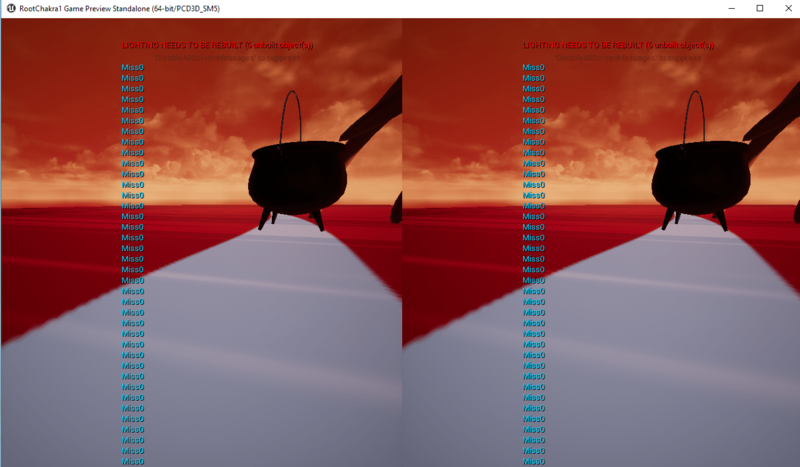 As you can see below, there are thousands of light calculations going on, which tends to slow down your game frame rate. 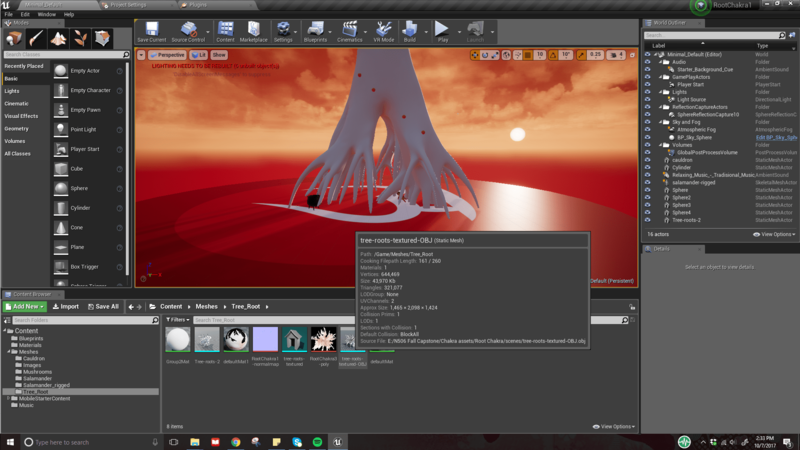 By placing a Lightmass Importance Volume, you can control where Unreal Engine puts most of its energy when calculating static lights, which improves performance. Below you can see much fewer instances of calculations. 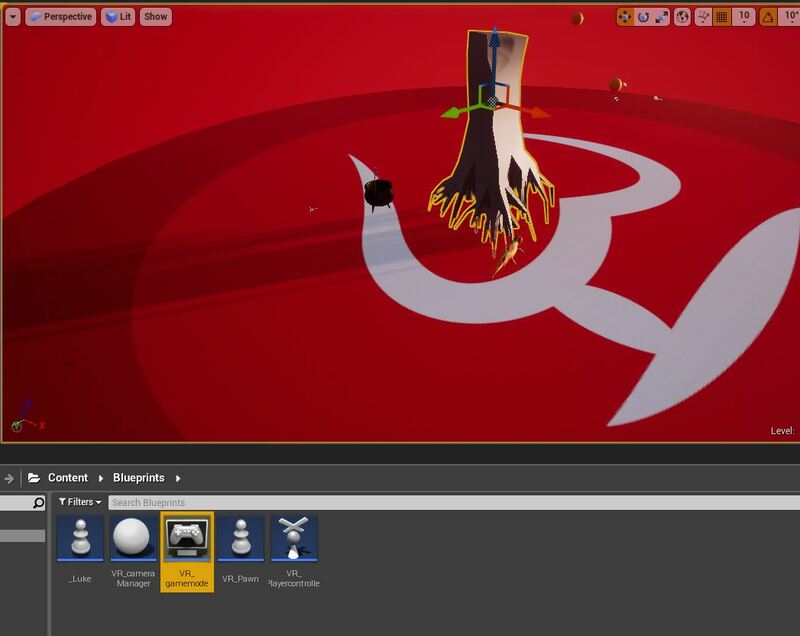 Unreal Engine has a section in their Gear VR documentation on how to build cameras, set up functions for Gear VR touchpad, and the motion controller. While these are helpful, it would be great if there was more support for Gear VR built into Unreal instead of developers having to custom-build things. 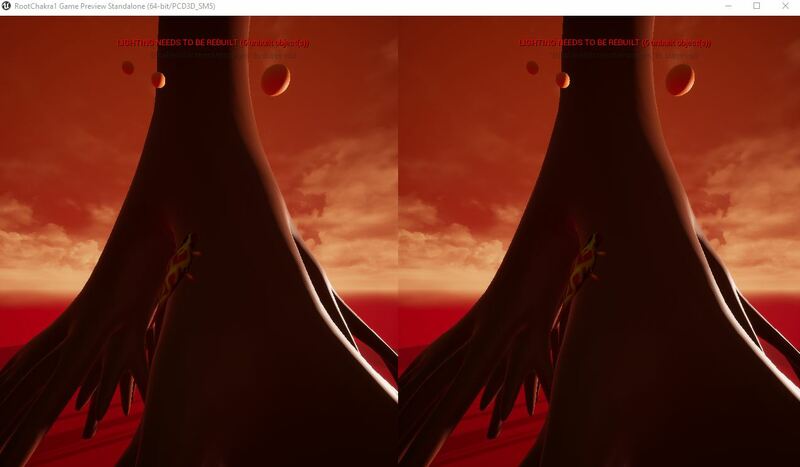 Also, be aware that sometimes Unreal’s documentation is not up to date, and you may need to cross-reference against Oculus’s Developer documentation as well. Note: if you are developing for Oculus, especially for Gear VR, there are certain plugins that need to be turned on in order to get the Blueprints you need. 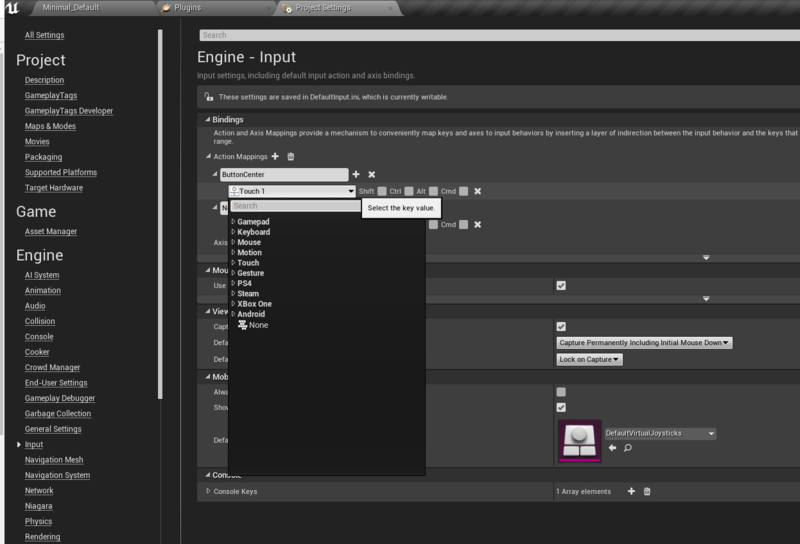 Oculus has a section in their documentation on Blueprints, and how to turn on the plugin. So far the documentation is a bit vague and sketchy, but I hope to continue deciphering it. The Input Blueprint provides a control interface for Touch, Oculus remote, and the Gear VR Controller….Gear VR Controller clickpad events are reported in the Input Blueprint as thumbstick events. What would be really helpful, would be an Input option to use the Gear VR touchpad or motion controller built into the Inputs/action mapping. So far that does not seem to be an option. If you can use the Action and Axis bindings in the Input section, it works across the entire game and all levels, instead of having to custom build a blueprint each time. With over 5 million Gear VR headsets sold world-wide, further support within Unreal Engine is a real need for the developer community. 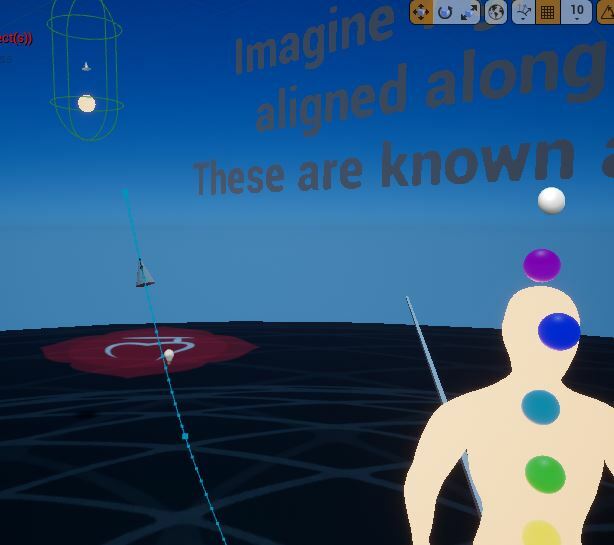 In this section, we added to our Blueprint, replacing the PrintScreen value with a function that allows us to move the VR_Pawn (player point of view) to the trigger capsule location when the VR_Pawn pointer overlaps the trigger capsule. In other words, when you look at something, you instantly teleport to it. 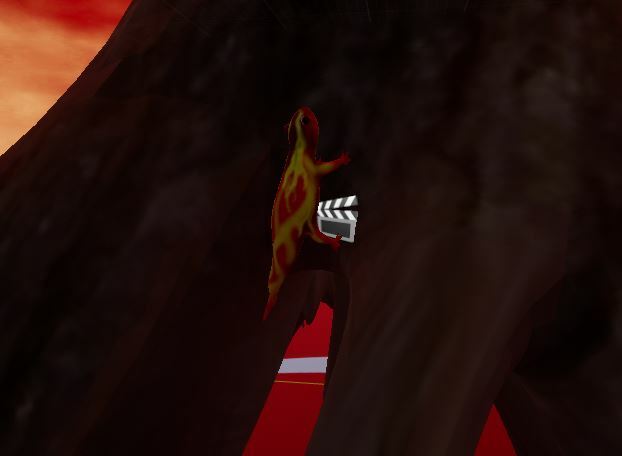 Below is a pic of the player standing on top of the cauldron after gazing at it. 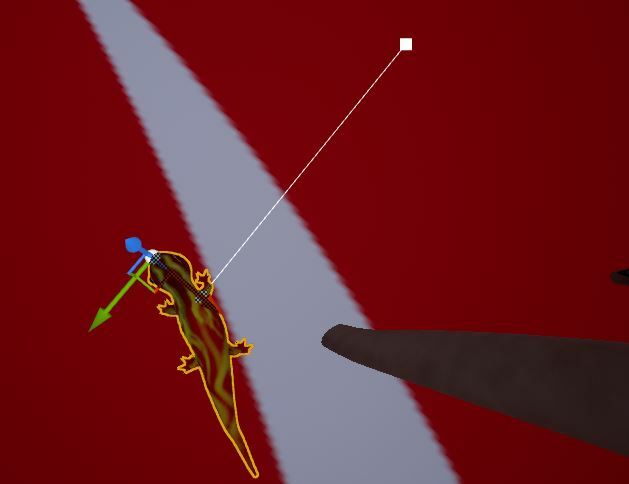 Below is an extreme close-up on the salamander – once the player gazed at it, the player was teleported directly to the trigger capsule surrounding the salamander. 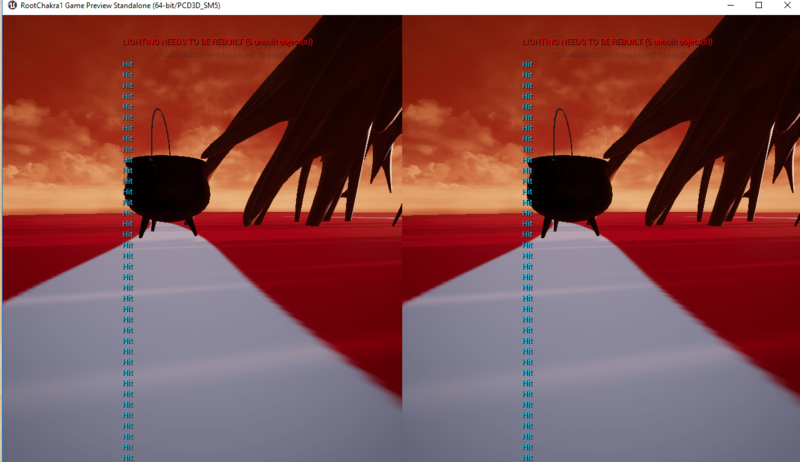 Obviously the placement of the capsules need to be fine-tuned so the player doesn’t land so closely upon the object, but the basic interactions are now functional. Here is the Blueprint that creates this action. Notice the Get Actor Location and Set Actor Location functions. 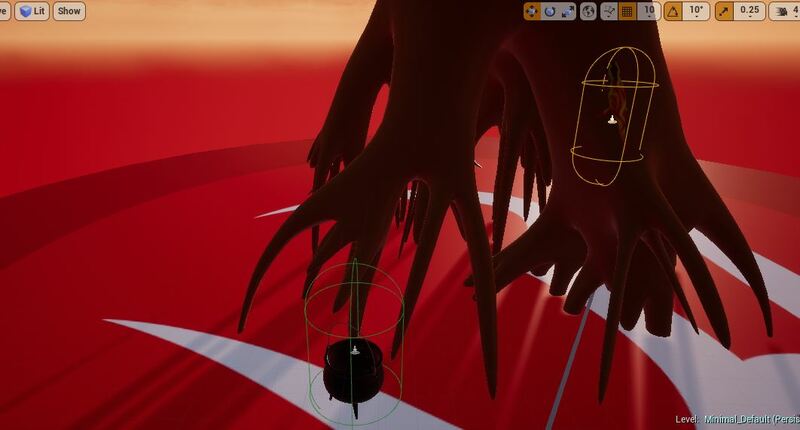 In this part of the Pluralsight tutorial “Making a VR Experience in Unreal Engine” we get into setting up a trigger capsule for our objects, then using Blueprints to create a PrintString when our gaze encounters the capsule surrounding the object. We went into the Blueprint for the VR_Pawn and clicked on the Viewport tab at the top of the Blueprint to see the actual object in order to create a very long Cube that was parented to the camera. 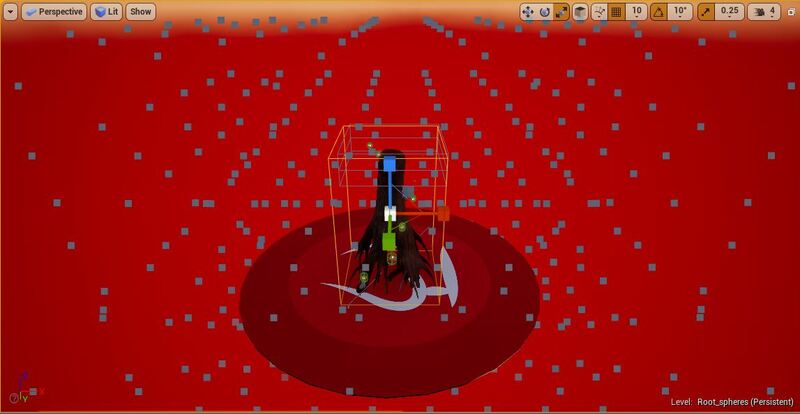 This allows us to touch or “Overlap” objects in the scene when the camera points at them. When the gaze/pointer encounters the object, the PrintString prints the word “Hit” instead of “Miss”. Next, we built the Blueprints to make the program print different words on the screen depending on which object it overlaps. WAIT – there is a problem. When the gaze encounters the trigger, it prints the wrong description. This is not the salamander! I literally had my wires crossed. 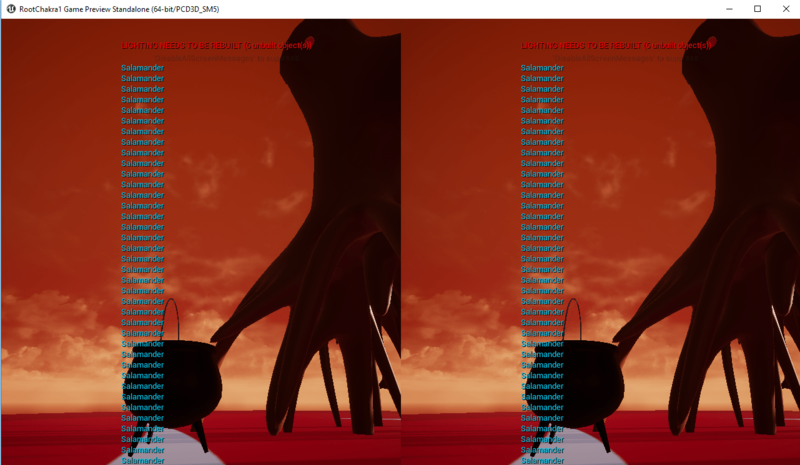 I corrected the PrintString outputs. Now the Cauldron string is connected to the Cauldron trigger, same for salamander. 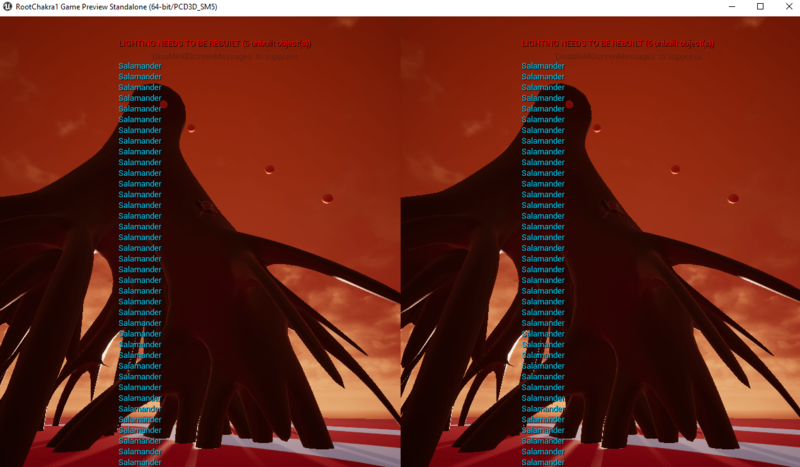 We have successfully demonstrated creating an event (PrintString) when the VR_Pawn camera pointer overlaps a Trigger Capsule. 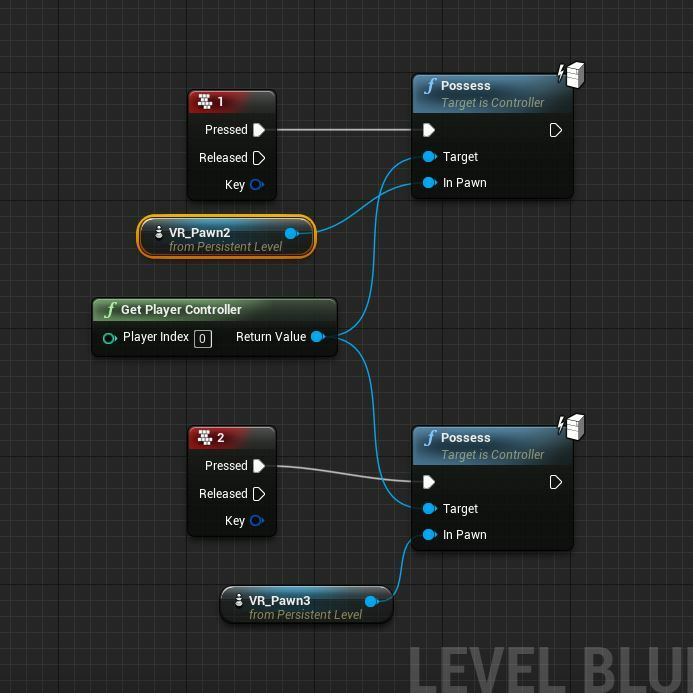 Today I’m following a Pluralsight tutorial on creating a first person camera and teleportation system using Blueprints in Unreal Engine. In this Blueprint, we are creating a way for the player to “teleport” from VR_Pawn to VR_Pawn1 when the number 1 key is pressed on the keyboard, and VR_Pawn2 when the number 2 key is pressed, allowing the player to move around the scene. The Blueprint allowed me to successfully move around the scene using keyboard keys while experimenting in the VR Preview. This was helpful for understanding the concept, but in order for it to work in the Gear VR headset, I will need to understand how to map inputs from Gear VR instead of keyboard keys. 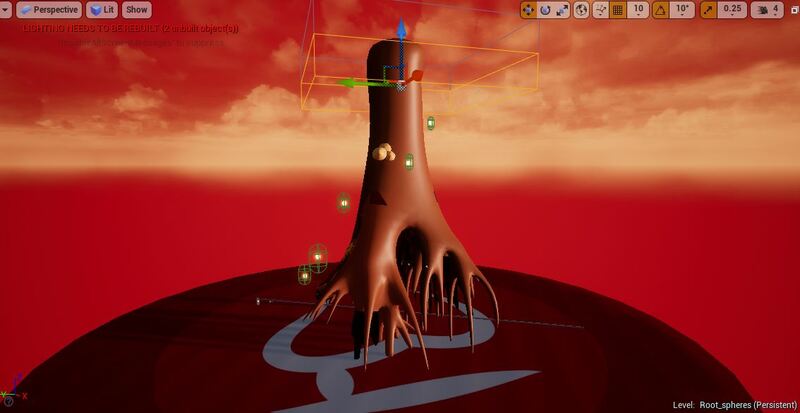 One of the main assets in my scene is a giant tree root. I modeled it in Maya and Zbrush, then imported it into Unreal, where it looks pretty good. 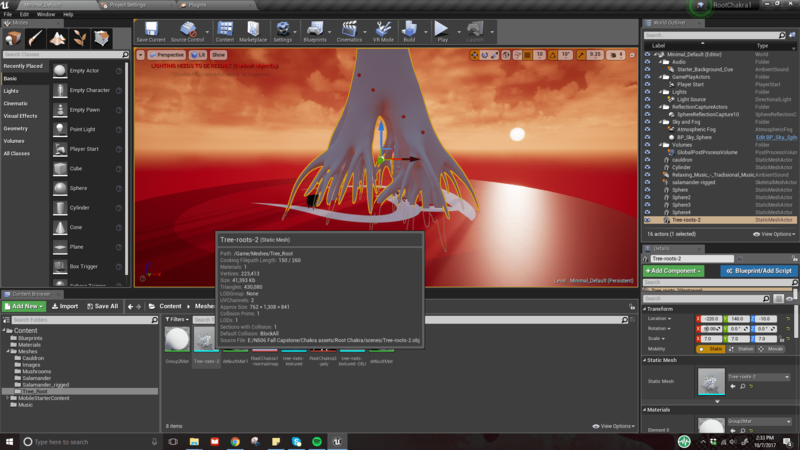 The problem is, when I export the packaged file from Unreal to my phone to view in Gear RV, the tree explodes. 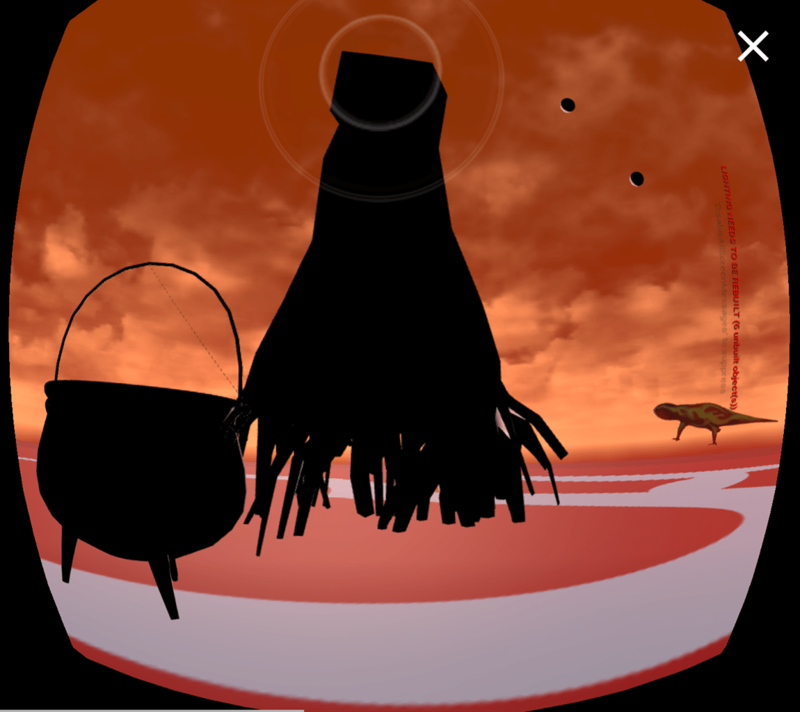 Below is a screenshot from Gear VR. The salamander and other elements are OK, but the tree is whacked. 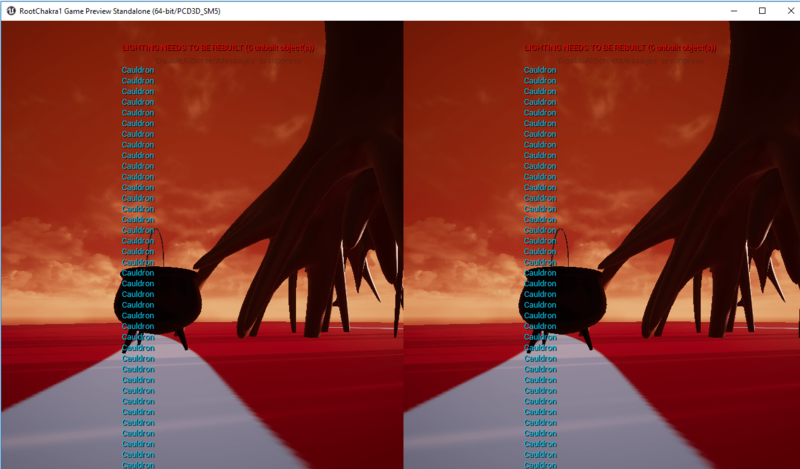 Thinking that the file was too big, I created a tree with fewer polys. This one is 43MB, 321k triangles, apprx size 1455x2098x1424. 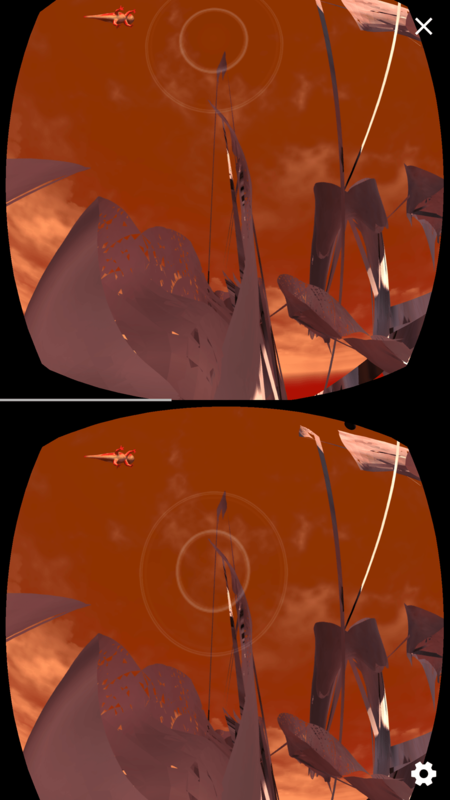 I packaged the file for VR, and still got an exploding tree. I simplified the tree a bit more, leaving off any of the polypainted texture, and still got an exploding tree. This one is 41MB, 430k trianglesize 762.1307×841. 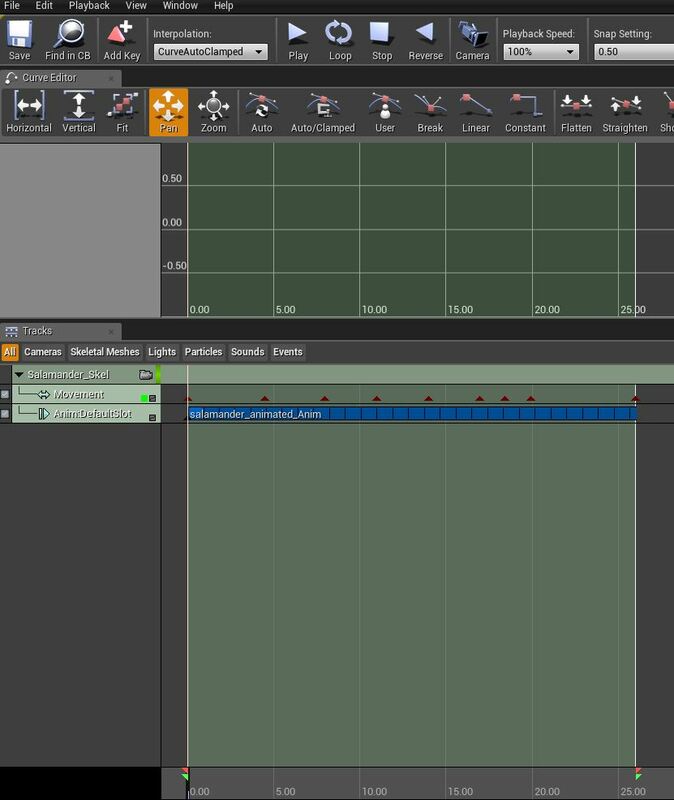 My last ditch attempt will be to create an extremely simplified version in Maya and take it straight into Unreal Engine (skipping Zbrush) and see if it works. This low poly tree did work in the VR headset. It showed up black because it has not had any materials assigned to it. I would like to find the “happy medium” of a tree that looks good, but does not explode.